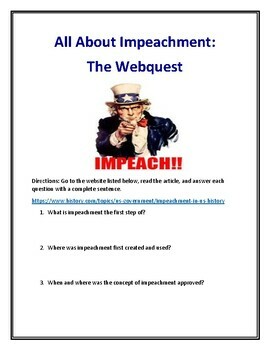 This 25 question History.com webquest will help students learn all about the process of impeachment! 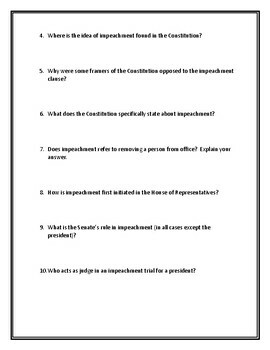 Information on how impeachment is explained in the Constitution and where this process first began. 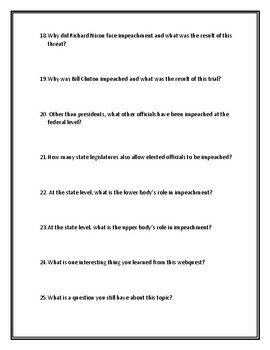 Clarifying details about the process of impeachment at both the federal and state level, including dispelling erroneous information about the process. 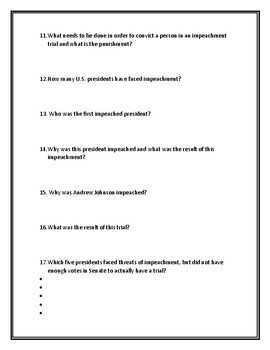 Details on presidents that have been impeached. Students will love to learn all about this interesting process through an independent webquest! An answer key is included for your convenience!